I was pretty nervous, having never been to prison before. But also really excited. 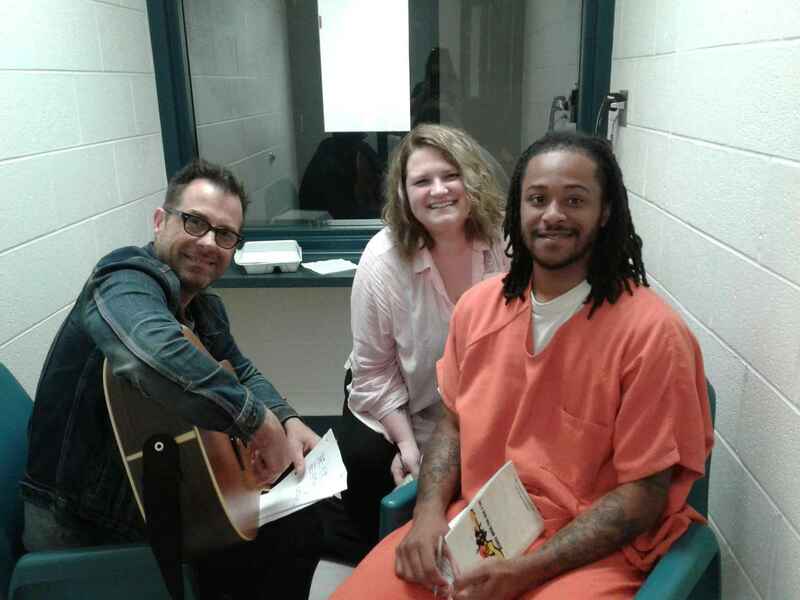 Writing a new song with two new friends?! Ultimately, that sounds like a dreamy way to spend a day. 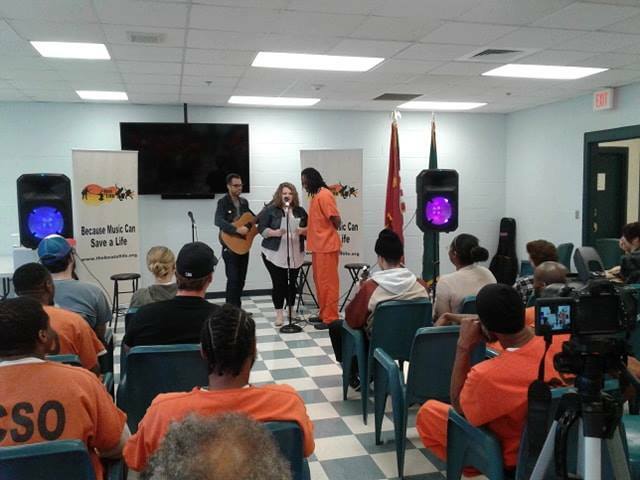 Brian Irwin (songwriter/guitarist) and I were assigned to inmate S. Wilson, who is 24 years old. Within the first 2 minutes of our meeting, he did not hesitate to tell us the exact date of his expected release ...in the year 2031. The three of us sat in a small room -- the prison-side of one of those visitation cubbies with a glass window to talk through. We were given under 90 minutes to learn as much as we could about Wilson's story and then write this song. He had some really excellent contributions. Like "her laughter brings the light" -- are you for real?! That's gorgeous! OMG, so much fun! Hootin' and hollerin' and cheering and standing ovations. Real joy right there. Not only that, but there were some really good songs too. One of the men wrote a song for his aborted baby. "If only I could've met you, maybe I'd be in a different place now." I cried. One thing I noticed in ALL the songs written was the longing for change--it was visceral. In our writing session, Wilson mentioned that even something as simple as having a meal with someone that you actually enjoy spending time with sounded like heaven. I do not want to negate the severity of the deeds Wilson committed. He got caught up in some really bad decisions--not all of us are born with the luxury of making easy decisions in life. It's not fair. And so my heart breaks. Because I am human and he is human and we are human. And we are so broken. And so we wrote a song about Hope. Wilson is a total sweetheart and an absolute gentleman who is in love with a girl he met before he was caught up in the events that brought him to prison. You'll hear his story in the song below. This song is for Wilson's girl. Her name is Hope. I kid you not. Songwriter gold. Patrons can listen to the song here! 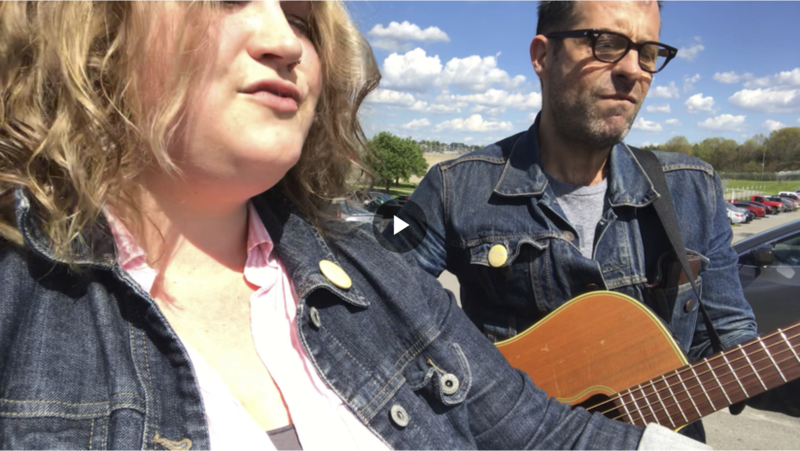 Since we were not allowed to bring our cell phones into the facility, Brian and I ran out to the parking lot after everything was over to document the song before we both forgot how it went. If you look close, you can see the barbed wire behind us. FYI - All brand new, unreleased songs are available to my patrons in their Patron Library! If you're not a patron yet, you can check it all out here.